I Can’t Believe I Need an Oncologist! Three days after my mammogram last spring dear hubby and I met with a surgeon for preliminary discussion about my mammogram results. With a serious expression on his face, he rated my newly-discovered mass a 5 on the “suspicious scale” of 1-5. This rating was due to the lump’s size and my family history. My initial oncology appointment was therefore made that very day, even before my biopsy was scheduled. There seemed to be a sense of urgency. Perhaps doctors have some kind of intuition about these things, although of course he emphasized the oncology appointment could easily be canceled if it was found to be unnecessary should my biopsy result turn out to be negative. Somehow I knew right then and there we would not be canceling it. Women have intuition too. Of course, my biopsy did reveal cancer and we were able to keep that oncology appointment the day after I received the phone call confirming my cancer diagnosis. Things were on a roll, so to speak, and I entered the “cancer treatment tunnel” literally walking around in a daze as I also began the process of trying to soak up volumes of information and trying to compile lists of intelligent questions. When I walked through the doors of my oncologist’s office that day, all I could think was, I can’t believe I need an oncologist. That would mean I have cancer. You do have cancer, I had to tell myself over and over again. I couldn’t quite fathom this new reality. I guess at that point I was still a bit in denial. As I studied his neatly framed certificates on the wall and looked around the room while sitting there fidgeting on my chair under the buzzing florescent lights, I had the uncanny feeling of deja vu. Just a short time ago I had been sitting in a similarly appointed oncology exam room discussing my mother’s cancer with her oncologist. How could this be happening to me already? Many things were discussed that day, but the main decision agreed upon by all was the need for me to be immediately tested for the BRCA 2 gene mutation. Since we now knew my mother had been a carrier of this mutation, I had a 50-50 chance of having it as well. The result of this test would determine my future. A positive result would mean a bilateral mastectomy unless I truly wanted to tempt fate. If positive, odds of a recurrence within five years would be extremely high. On the other hand, a negative result would mean being treated like the general population of women with a lump of similar size and a lumpectomy would be a possibility. The test result would take about two weeks to come back. We had two weeks to contemplate and prepare ourselves for whatever the future held. Suddenly a great deal was riding on a simple blood test. Next we needed a consultation with a general surgeon who would be performing the procedure; we just didn’t know for sure which procedure it would be yet. In addition, we also now needed to speak with a plastic surgeon just to be prepared, of course, for the possibility of the mastectomy scenario coming true. 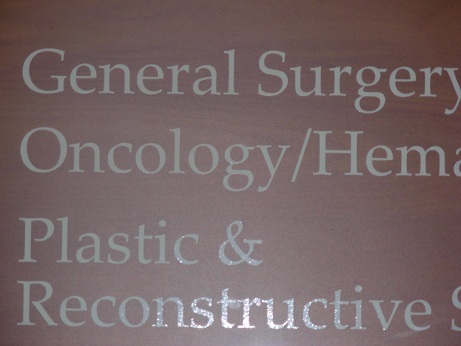 I never envisioned myself needing a plastic surgeon, but then I never envisioned myself with breast cancer either. Hubby kept telling me we needed to wait for the test results and see what happened, but somehow I already knew what the results would be. Have you ever had intuition about a test result that turned out to be accurate? Sign up for updates from Nancy’s Point! I can’t believe I need an oncologist. Yep. I knew mine was cancer (and there is no history of cancer in my family; unless you count my dog…but we’re not actually related. 😉 ) from the initial time of the mammogram. There is something to be said for intuition. Teresa, I agree about the intuition. Yeh, I guess we can’t actually say we are related to our dogs even though they sure are part of the family! Obviously there are a lot of outcomes out of our control, and sometimes we just know when something is going to go the wrong way. However, we have to also remember the importance of positive thinking and how having a positive attitude really does affect how our bodies react. I believe we have more control than we realize. Lindsay, I sure can’t argue with that! My husband believed it was not cancer. My GP thought it probably wasn’t cancer. I just knew they were wrong. Lindsay, you’re right. We can choose how we respond to it, and my oncologist is the one who keeps reminding me that the mind/body connection is a powerful thing. Hi Cyn, Thanks for sharing your thoughts on this. It’s interesting how the husbands waited for concrete proof or confirmation before accepting the reality of cancer. I didn’t need to. Sounds like you just knew as well. Hi Nancy – abosolutely! I knew I would test positive too. In fact, I’ve spoken with Dr. Herman (an hboc advocate and ob/gyn in NY) about this, and it seems the majority of us have this ‘feeling’ – it’s like we just know. One of those times it would have been nice to be wrong, right? Teri, I’m so glad you checked out my blog and took time to comment. Hope you’ll be back soon. That must have been an interesting conversation with Dr. Herman. Yeh, I sure would have preferred being wrong on this one. 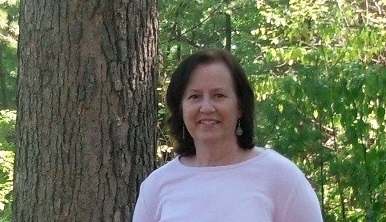 Nancy, thank you for steering me to your blog. We are “fearfully and wonderfully made,” and you will watch in amazement as your body comes back to life after chemotherapy, surgery and all the rest. The hair will come back, the chemo brain will go by the wayside, and your whole body will heal. I will keep you in my prayers. Leslie, I’m happy you made your way to my blog as well. Thanks for your encouraging words. I am looking forward to my whole body healing, that’s for sure! Hi Nancy, I’m so glad I’ve found your blog. I’ve been looking and looking and have had trouble finding anything… a blog about someone like me. I was diagnosed in May of 2009. It’s true what you say about intuition. I remember on my biopsy day, the nurse kept telling me 85% of these cases are benign and the whole time I kept wishing she’d stop saying that because I just knew mine wouldn’t be. I knew it like I know my name and of course, as I found out 48 hours later, I was right. It’s been an interesting road since then. I’ll continue to read about your journey. I hope all goes well and thank you for sharing. Not everyone does. Stacey, I’m glad you found my blog as well. How did you find it? I’ll be interested to read about your experience with all this stuff. It seems we do indeed have some things in common. Hope you’ll be back soon. Thanks for your kind comments. Hi Nancy, To be honest, I don’t remember exactly how I found your blog. I may have seen the name on a blog list or a comment you made somewhere. I was searching a lot of blogs looking for something that clicked with me. A blog, a person I could relate to. Which is ultimately why i started my own. I thought maybe someone would find me. Happily, I came across yours and felt a connection. Sorry it has to be cancer and our moms and all that crap, but life is what it is. Thank you for your kind words on my blog. It’s young, but I’m enjoying doing it. Also, I just want to comment on the post about your mother. I’m sorry for your loss. It’s still very recent and must be very hard. It’s ten years for me and yes, I was prepared too, but it certainly didn’t make it easier. I was glad she was out of pain, but pissed off that I couldn’t help make her better. Allow yourself the sadness, but believe that time does help eventually. Stacey, Thanks for your comments. I think you will find blogging to be very theraputic and I wish you luck getting yours going. Mine is new as well. I am ejoying it a lot and hopefully it is helping people somewhere along the line too. I started buying books about cancer two years before my diagnosis, based on a thump in my chest wall that I had felt a couple of times when moving down and forward. The experience of this sensation happened only a couple of times and then never came back but it left me wondering. DGZ, I bet it did leave you wondering…strange sensation indeed. Thanks for reading and sharing. Breast Cancer Awareness Month -What’s All The Commotion About?